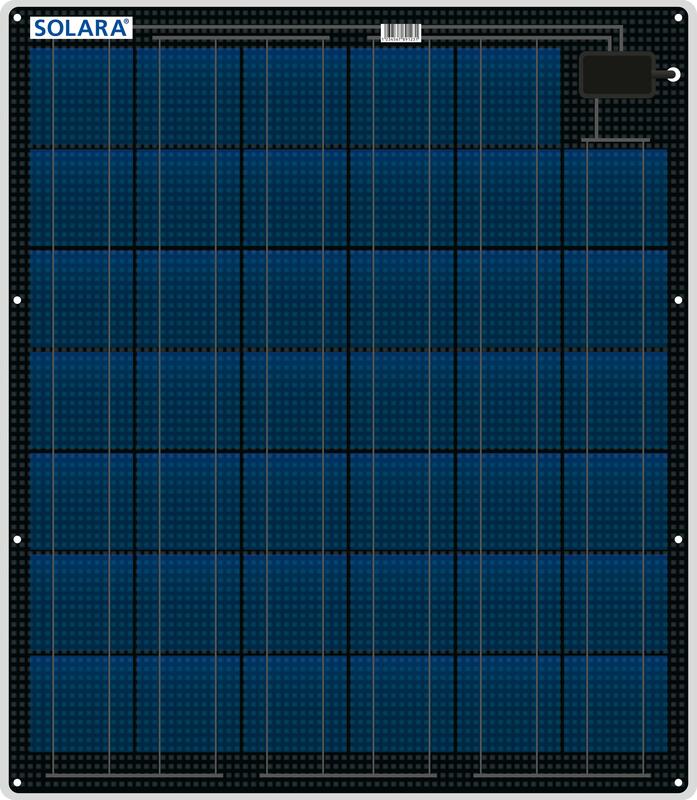 Revised for 2016, the Solara 80W panel is the largest in the M-Series range and has been fitted with additional cells to boost power output. All Solara Marine Solar Panels now have an industry leading 5-year warranty. 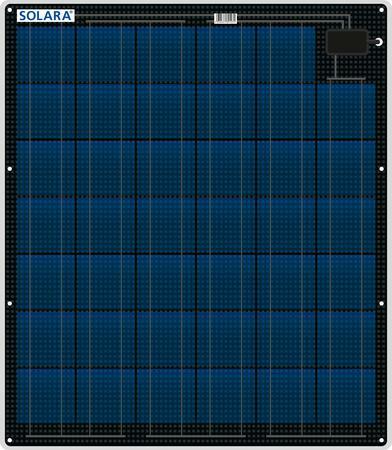 The innovative Solara M-Series design is a truly 'walkable' solar panel, with a sturdy aluminium back plate, keeping weight to a minimum and allowing for up to a 3% curved surface. The teflon coated and 'roughened' front surface ensures that this panel is non-slip, even when wet.